An Angle Grinder, sometimes called a side or disc grinder is a handheld power tool commonly used for cutting, grinding and polishing. The use of angle grinders can be extremely dangerous. 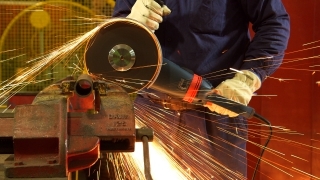 If incorrectly used, angle grinder discs can shatter causing projectiles to fly violently through the air hitting the operator and others in the work area. This program is aimed at professional and non-professional operators of Angle Grinders as a safety and operational guide. Chainsaws are used extensively by a wide range of people in many industries. 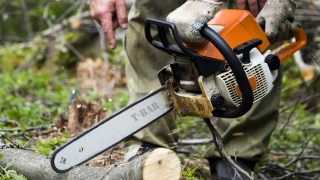 The chainsaw is of great assistance when fast cutting of timber is required. But, if the chainsaw is not properly maintained or is used incorrectly its potential for causing injury cannot be underestimated. Every chainsaw operator should always be aware of the dangers which relate to the operation of a chainsaw. 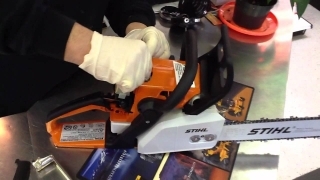 The combination of a regularly maintained chainsaw with the correct personal and operational safety procedures should ensure trouble free and successful operation of the saw. In the control of a skilled person Electrical Power Tools show their flexibility and their speed. This program shows operators how to get the best out of their Power Tools and how to use them effectively and safely. This program is aimed at professional and non-professional operators of Electric Power Tools as a safety and operational guide. 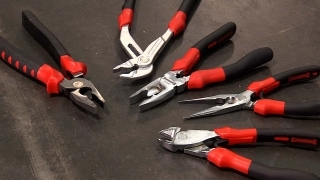 Basic Hand Tools are the most common equipment used throughout industry. However the correct, efficient and safe use of Hand Tools is sometimes lacking in the workplace. 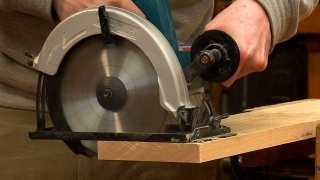 This program is aimed at all users of basic Hand Tools, whether they be students or experienced trades people who may require a refresher on safe and correct usage. 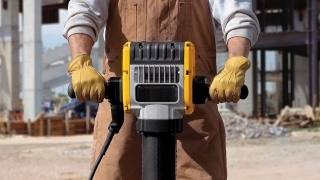 Hand held power tools, hand guided equipment, and holding materials being worked by hand feed machines, can all transmit vibrations to the hands and arms. Regular exposure to hand-arm vibration can lead to what is known as hand-arm vibration syndrome, also referred to as HAVS. Fingers going white and then becoming red and painful, after the task has been completed. Symptoms usually last for a short time, however, with continued exposure to vibration the symptoms may have longer lasting effects, and with time, usually a few years, could become permanent, causing ongoing pain. Awareness of the problem of hand-arm vibration syndrome, a commitment to identify hazards and reduce risk levels, combined with an individual commitment to health and safety, will help prevent HAVS issues occurring. Today, the metal trade is one of the cornerstones of our industrial society. 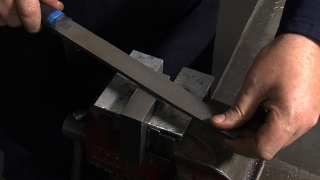 Correct, efficient and safe use of metalworking tools is essential throughout the metal industry. may require a refresher on safe and correct usage. Off-hand Grinding machines are widely used throughout industry, but safe and correct use of these machines can be overlooked. 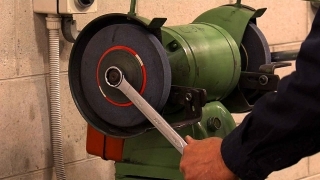 This program shows how to operate an off-hand grinding machine safely and efficiently. This program is aimed at professional and non-professional operators of Off-Hand Grinding machines as a safety and operational guide. Compressed air is an energy source used to power tools and equipment in a variety of work environments. Compressed air is not ‘just air’, it is air travelling in an intense stream at a high velocity. Exposure to it can result in severe injuries or even fatality. 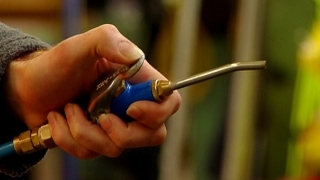 This video program aims to increase people’s awareness of the dangers of compressed air and of the importance of using compressed air tools and equipment correctly to avoid injury. The program examines the potential hazards and injuries that can result if the correct safety precautions are not followed. What are the potential hazards and injuries associated with compressed air? How can they be controlled? What are the do’s and don’ts when using compressed air? The program is designed to suit any work environment where compressed air is used, and provide people with a practical understanding of how compressed air works and why it is dangerous. By increasing people’s awareness of the dangers of compressed air the risk of injuries can be reduced and workplace safety can be improved. The chainsaw can be an extremely dangerous tool if not operated correctly. This program looks at a range of operational and cutting procedures that are crucial for the safe and successful operation of the chainsaw in all situations. There is no doubt that a chainsaw can be a very dangerous tool and that there is no substitute for proper training and a professional approach to their use. However, if the saw is properly maintained and used according to safe work practices, safe and accurate cutting can be consistently achieved. 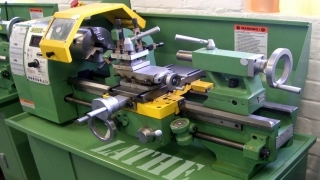 The Lathe is one of the most versatile tools in use throughout industry today. It provides a quick and efficient means of shaping and drilling many types of metal and wood. The program is aimed at all Lathe operators from students to experienced operators as a refresher on safe and correct equipment usage.